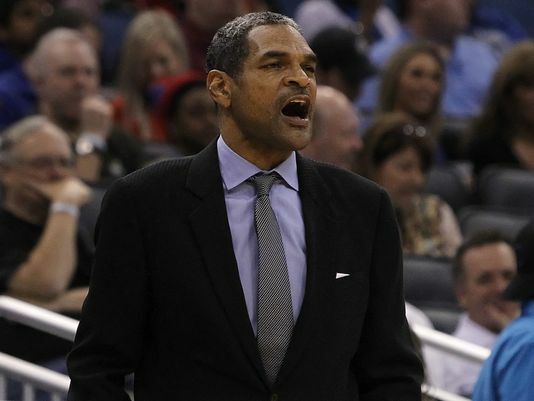 The Detroit Pistons fired first-year head coach Maurice Cheeks on Sunday morning 50 games into his tenure with the organization. The Pistons are 21-29 on the season, and have won back-to-back games – including a 126-109 victory against the Denver Nuggets on Saturday. With prized free agent acquisitions Brandon Jennings and Josh Smith, rising stars Andre Drummond and Greg Monroe and key reserves Rodney Stuckey, Kyle Singler and Will Bynum, the Pistons figured to have one of the more talented rosters in a historically weak Eastern Conference. As of Sunday, Detroit stood a half-game out of playoff contention behind the eighth-place Charlotte Bobcats. Detroit now seeks its ninth head coach in Dumars’ 14-year tenure as President of Basketball Operations. Multiple sources report assistant coach John Loyer will be named interim coach before Detroit’s home game Monday against San Antonio. ESPN.com’s Marc Stein is reporting former Memphis Grizzlies’ coach Lionel Hollins has also emerged as a potential candidate for the job. Hollins interviewed with the Pistons last summer to join Cheeks’ staff as an assistant.